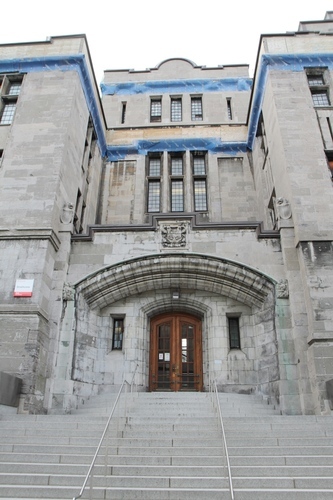 The Strathcona Building of McGill University in Montreal was built in 1909 after a major fire destroyed the old Medical Building. 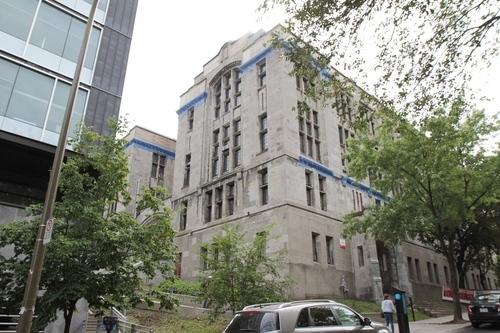 "After this (…) fire, the Faculty of Medicine found itself homeless and had to hold classes in rented space downtown. Fortunately, Lord Strathcona, always a friend to the University, immediately stepped forward and offered to purchase land and erect a new structure for the displaced faculty. The site chosen was at the southwest corner of Pine and University, across from the Royal Victoria Hospital. David Brown and Hugh Vallance were hired to design the new Strathcona Medical Building which opened in 1909. 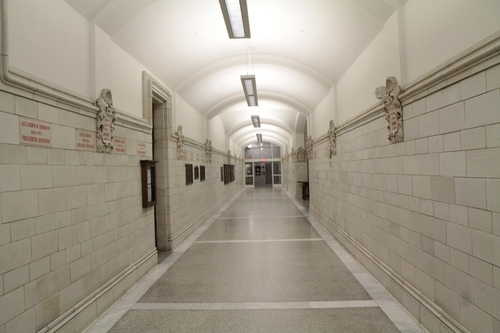 Its features include an ornate reading room and a stained-glass window commemorating members of the Medical Faculty who fought or died in World War I2. 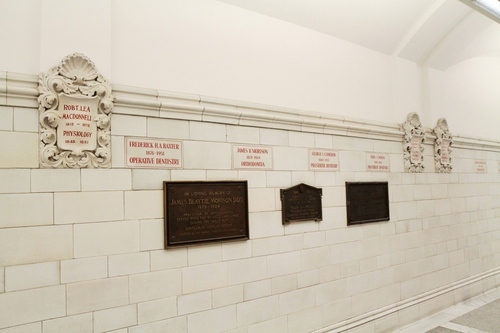 Another typical feature of the Stratchona building is a large number of plaster coat-of-arms and memorial tablets dedicated to the main full professors of the old School of Medicine and Dentistry. Among them, of course, the one of Sir William Osler. On the contrary, Maude Abbott had not her coat-of-arms because, as a woman, at that time she never could become full professor in the School. 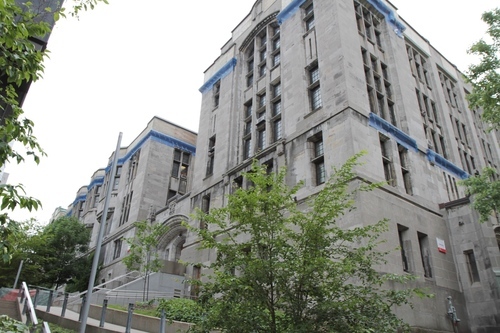 The Strathcona Anatomy and Dentistry Building is today home to the Faculty of Dentistry, and to the Faculty of Science’s Department of Anatomy and Cell Biology. The building also houses an Electron Microscopy Laboratory and the Maude Abbott Medical Museum3. 1. Retrieved from Virtual McGill official website. 2. Retrieved and adapted from the building's official presentation.